These claim to have a whopping 78 litres of capacity when expanded, but we couldn’t fit quite as much gear in them as we could in Oxford’s supposedly smaller P60R. 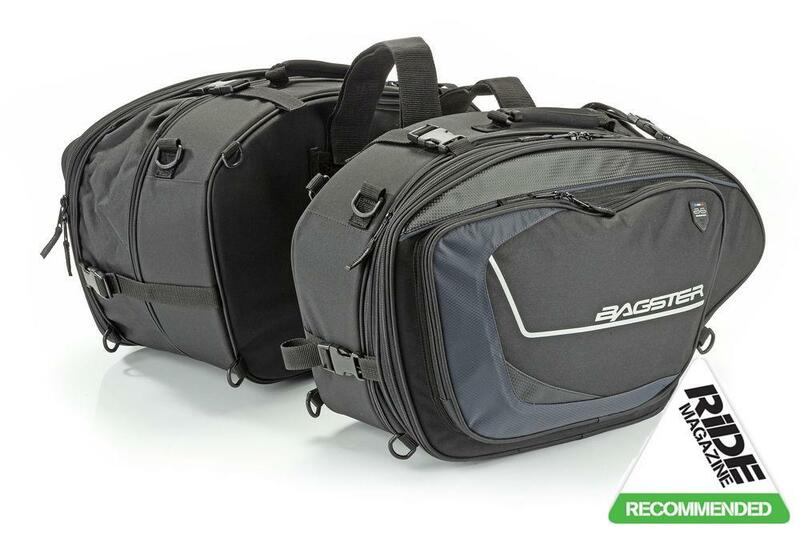 Nonetheless the Cruise is an impressive set of panniers – sturdy sides, with a large opening, plenty of room, a good sized outside pocket and handy elastic restraints on the inside to keep the contents secured. They were superb performers in the shower test, too, staying almost perfectly dry with only a tiny amount of water able to get past the zips. With nine D-rings on each pannier there are plenty of fitting options, and the short bungee cords included are very useful. But integrated straps would be better still, and there’s no underseat strap.